Over the next few weeks, I’m going to be republishing on my blog a number of articles I’ve written over the years, about writers, especially writers for young people, whose work I’ve loved and been inspired by, both as a child and into adulthood. These articles have been first published in a number of different places. The first of these I’m republishing, is on Leon Garfield and first appeared in Magpies Magazine some years ago. I remember the first time I met Leon Garfield’s work. It was a Friday afternoon, I was about twelve or thirteen, and I was looking for something juicy to read at the local library for the weekend. The Garners I’d wanted were out; but browsing idly on the same shelf, I came across a title that looked good. Black Jack. By Leon Garfield. The cover was evocatively spooky, the blurb tasty, and as I ever judged books by their covers and blurbs at that age–I was willing to give it a go. There are many queer ways of earning a living; but none so quaint as Mrs Gorgandy’s. She was a Tyburn widow. Early and black on a Monday morning, she was up at the Tree, all in a tragical flutter, waiting to be bereaved. Flung headlong into the strange, funny, terrifying, vivid world of seedy 18th century London from those first sentences, I could not put the book down all that night, even after stern paternal injunctions to turn the light off, this instant! I begged Mum to take me back to the library on Saturday, and snapped up Devil in the Fog, the only other Garfield that hadn’t been taken out, and read it too within a few hours, heart racing. As soon as I got back to school on Monday, I went to look in the library, to see if there were any other books by this extraordinary author. In the space of a few weeks, I managed to gobble up Jack Holborn, and Smith, and Mr Corbett’s Ghost, and The Drummer Boy, and The Strange Affair of Adelaide Harris. And then started again, with Black Jack, which even to this day remains my absolute favourite. I think that I must have read some of Garfield’s books five or six times over those years, and pounced on any new ones that came into the library. 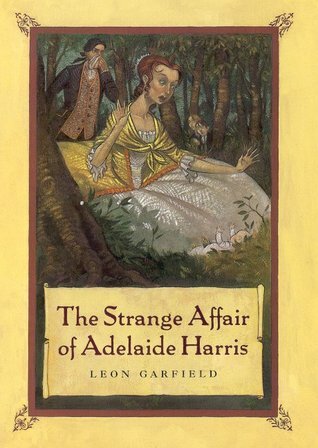 Brought up on the strong meat of 19th century French picaresque adventure novels, I had taken to Garfield like a duck to water, amazed and delighted and whirled along with the inventive plots, wild casts of always believable though larger than life characters, skeins of mystery to unravel, bloodthirstiness and gruesomeness yet also humour, and the glorious language. Though his main characters were nearly always children or young people, they were never hived off into separation from the adult world; this is the opposite of the cosy boarding-school bubble. No; they had to fight, love, hold their own somehow in a harsh yet not completely unloving adult world, a world of tragedy and villainy, yet also compassion and joy and humour. 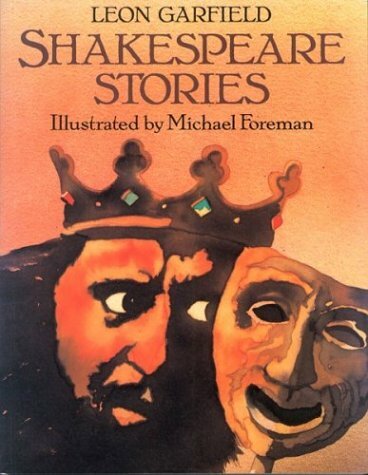 The books, with their evocative illustrations by Anthony Maitland, became an indispensable part not only of my reading life, but of my writing life too, later. I’m not alone in loving Garfield’s work; for his work was both hugely popular and critically acclaimed, garnering many prizes. 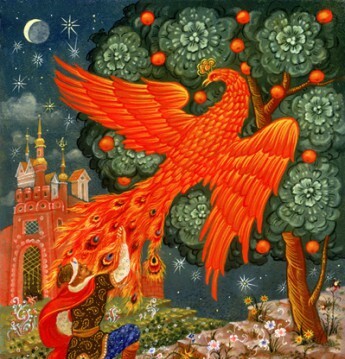 As part of the great golden age of children’s literature of the 60’s and 70’s, he also inspired many writers of this new, current golden age, such as Philip Pullman, who acknowledged his love of Garfield and his ‘caviar language’ in a recent article in The Guardian in the UK(December 28, 2002). 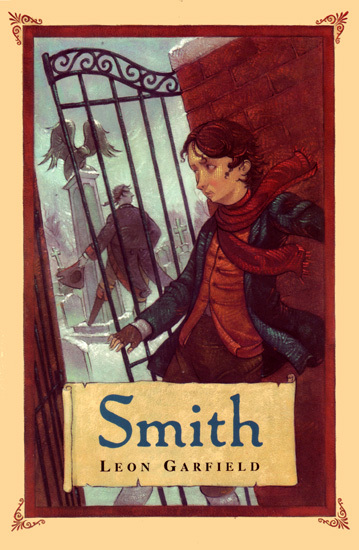 In The Horn Book of January/February 2001, too, the great American author Katherine Paterson writes of her delight at the 2001 reprinting of four of Garfield’s books(Black Jack, Smith, The Strange Affair of Adelaide Harris, and John Diamond), and her status as an ‘extravagant admirer for more than twenty-five years’ of Garfield’s work. It strikes you like that, the love of Garfield, makes you reach for the superlatives! 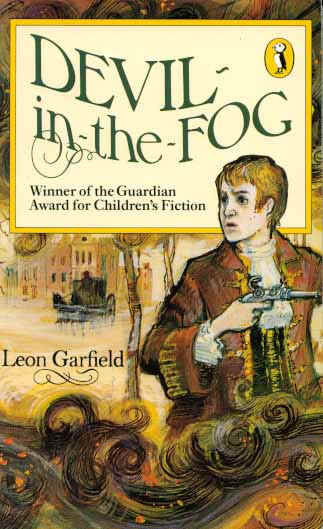 The book, a bloodthirsty, adventurous, crazily plotted story of piracy, murder, secrets, hidden identity and endurance, was immediately successful, and by the time Garfield’s second book, Devil in the Fog, was published in 1966, the author was able to leave his ‘day job.’ All this time, his distinctive style and approach were maturing and deepening, and his third novel, Smith(1967) is considered, along with the 1968 Black Jack to be amongst his very best work in the historical adventure genre. But Garfield never limited himself to any one genre. His natural exuberance, interest in life and people and appetite for story manifested itself in a whole range of different books and genres over his long career, from the ghost story (Mr Corbett’s Ghost; The Ghost Downstairs) to retellings of mythology (The God Beneath the Sea, The Golden Shadow, written in collaboration with Edward Blishen); retellings of Shakespeare(Shakespeare Stories I and II, illustrated by Michael Foreman) ; picture books(Fair’s Fair, illustrated by Margaret Chamberlain, and King Nimrod’s Tower, illustrated by Michael Bragg; spy stories (The December Rose); bleak comedy(The Pleasure Garden); farce and mystery(The Strange Affair of Adelaide Harris, Bostock and Harris)and an extraordinary cycle of stories about the lives of 18th century apprentices, Garfield’s Apprentices(1976-1978). He contined to write many wonderful historical adventure stories, too, such as The Drummer Boy, The Sound of Coaches, The Prisoners of September, John Diamond, and more. He also wrote a work of historical non-fiction(The House of Hanover: England in the Eighteenth century),contributed short stories to anthologies, edited anthologies, and edited reissues of classics such as Dickens’ Edwin Drood. 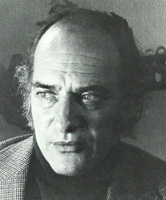 Leon Garfield was shortlisted for many awards, including the Carnegie and Whitbread(both of which he also won), and several of his books were filmed, with equal success. Both Devil in the Fog and The Strange Affair of Adelaide Harris were made into popular TV series, whilst the 1978 feature film of Black Jack, directed by the great British film director Ken Loach, was joint winner of the international jury award at the 1979 Cannes Film Festival. As well, the legendary John Huston made his last screen appearance in the filmed version of Mr Corbett’s Ghost. 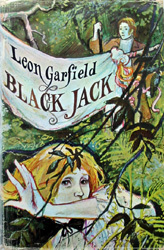 Married to the popular children’s novelist Vivien Alcock–the couple and their children lived in Highgate, London, also the setting for several of his novels–Leon Garfield was known to his friends and his peers as a kindly, considerate and courtly man. He was working on an adaptation of The Odyssey for the screen when he died in 1996. 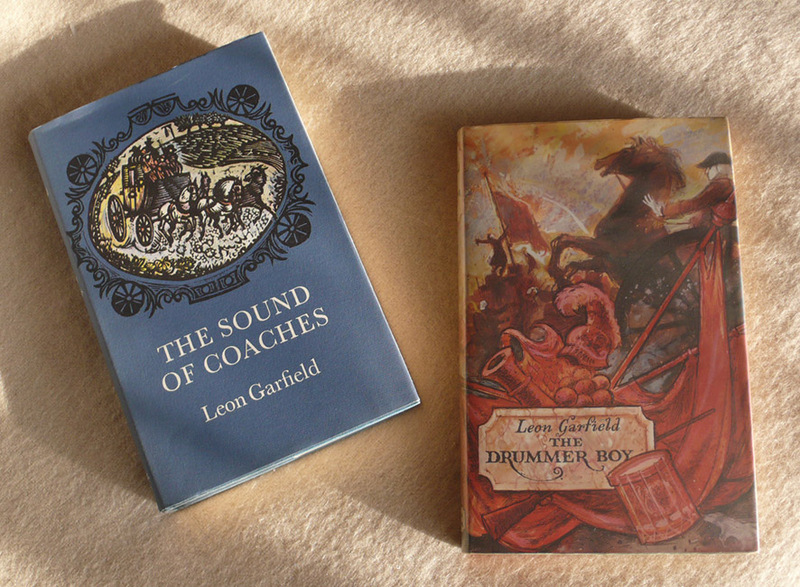 British children’s literature has many gorgeous jewels, an indeed an embarassment of riches, in its treasure trove: but surely one of the most unusual, brightly-coloured and precious is the work of Leon Garfield. In a time when children’s literature seems once again full of the excitement and thrill of that earlier period, it’s time to rediscover him, and for kids–and adults–to be bowled over once again! ← Congratulations to Stephen Whiteside!